No.3 Canalside Walk affords a unique waterfront lifestyle, blending tranquillity with the very best in 21st century connectivity. Discreetly stylish residences in this new development in Paddington, sit within a building celebrating crisp lines and clean geometry. Residents can work out, socialise or simply relax in the rooftop Observatory Lounge, terrace and out doorgym which afford expansive views over the city. 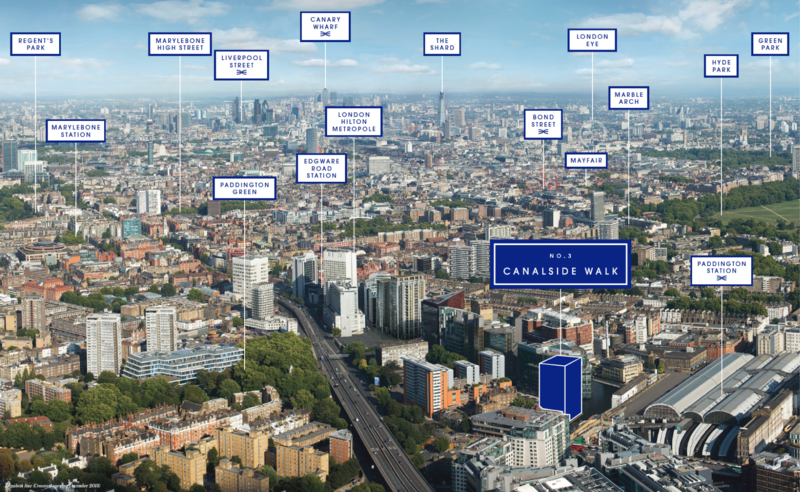 No.3 Canalside Walk is in the heart of London’s most central canal-side district, an elegantly landscaped enclave alive with restaurants, bars and a vibrant year round calendar of events. From here you can enjoy a boat cruise up the Regent’s Canal, or relax on a warm afternoon encircled by bright waters on London’s only floating park. Further afield, whether your destination is within London or around the world, few places to live make getting there easier. You can travel without ever crossing a road – the rarest of privileges made possible by direct access to Paddington Station over a quiet canal bridge. From there you can reach your destination via either Heathrow Express, national trains, the new Elizabeth Line or four tube lines. 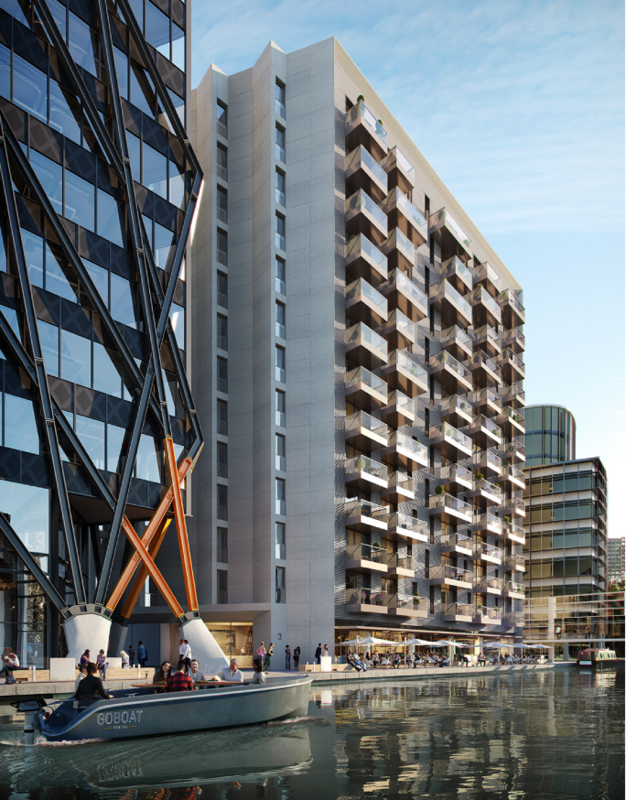 Discover No.3 Canalside Walk and enjoy waterfront living with the world at your feet. See what’s happening at Merchant Square just 2 minutes walk from No. 3 Canalside Walk. Visit the Merchant Square website. Views of the Grand Union Canal and beyond. Find the perfect property for you. In this exclusive development there are 2 and 3 bedroom apartments available, with prices starting at 1.2m. 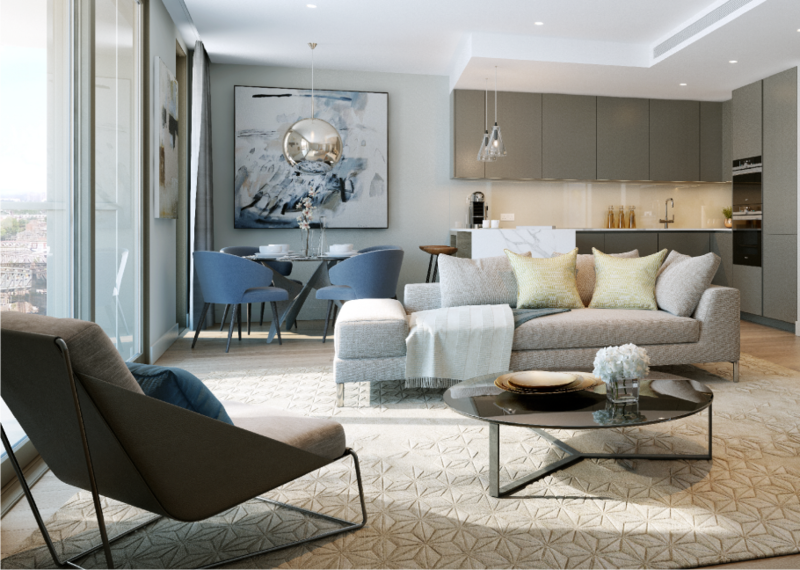 Every apartment benefits from the architect’s commitment to providing a light, calm and sophisticated home. The design uses warm, sophisticated materials and clean lines to provide the perfect backdrop to your lifestyle. Please fill out the enquiry form below and one of our team will be in touch very soon.